Today I have two polishes from the recently revamped Xtreme Wear collection from Sally Hansen, Glam Fest and Rouge Rush. Glam Fest is packed with silver micro glitters and larger multicolored hex glitters. Here, I've shown one coat over China Glaze Queen B. A recurring theme with mainstream glitter toppers is that they simply don't have enough glitter density for my liking. Case in point - I only got a total of 7 of the larger hex glitters on my nails. My ring finger without any larger glitters is pretty by itself, but that isn't the intended appearance of the polish. Two coats would be best of Glam Fest for ideal glitter density/coverage. I also found Rouge Rush to be lacking in the coverage department, and it was even more finicky to apply than Glam Fest. I've shown one thick coat over Lime Crime Milky Ways. In the bottle, it's a gorgeous combination of pink and red hex and shard glitter. However, hardly any glitters are on the brush when you go to apply it, and you need to do quite a bit of fishing to get a decent amount of glitter on the brush. 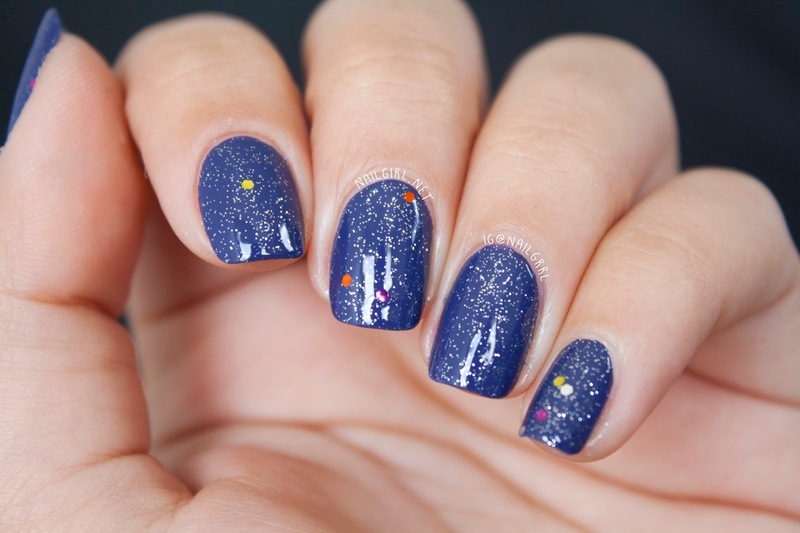 Even then, it's hard to avoid applying a thick coat if you want the glitter evenly distributed on the nail. I ended up with quite a few bubbles due to applying unnecessarily thick layers. I would highly recommend using the sponge method of applying glitters when using this polish for best effect! What do you think of the new Xtreme Wear line? Have you tried any? Let me know in the comments! What a shame they weren't glitter dense enough! That first combination is GORGEOUS! You make me want to dig out Queen B again.